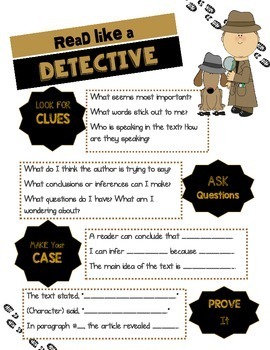 Use this reference sheet or create a classroom poster for your students about close reading for comprehension. A teachers main goal is to get kids engaged with what they are reading on a deeper level; to ask questions about what they notice, and to answer those questions based on what's in the text. Another term for this strategy is called close reading. Reading closely is an important skill to teach elementary and middle school students. - It helps students understand why they read. -It promotes critical thinking, conversation, and understanding.